Climb your way to the top and zip line to the finish as Bethesda Park opens its incredible High Ropes course to the public. Bethesda Park's High Ropes are usually only open to private groups, but on select days, this larger-than-life jungle gym opens its doors to all! 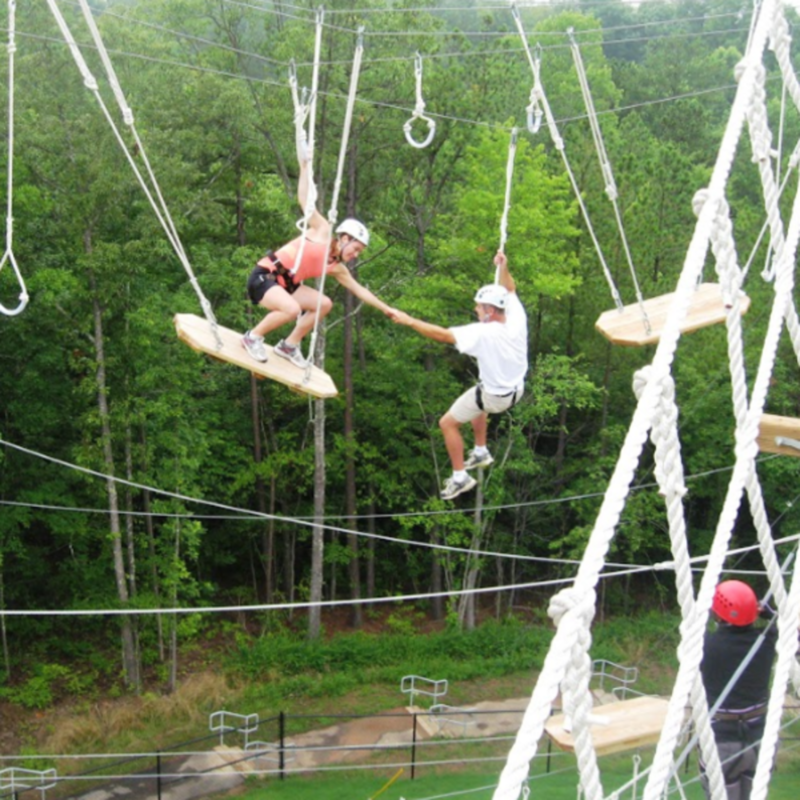 You'll climb and navigate a variety of obstacles (some even 55ft tall) and finish off with a giant swing or zip line. Pre-registration is required, ages 7+. Children 7-9 must be accompanied by a participating adult. Price: City Resident: $8 Non-City Resident: $13 Schedule: Saturday, October 28, 11a-12:30p (#7618) Saturday, October 28, 12:30-2p (#7619) Saturday, Octover 28, 2-3:30p (7620) To register, enter the respective course numbers here.